A quick pre-ride bicycle check can make your ride more enjoyable. 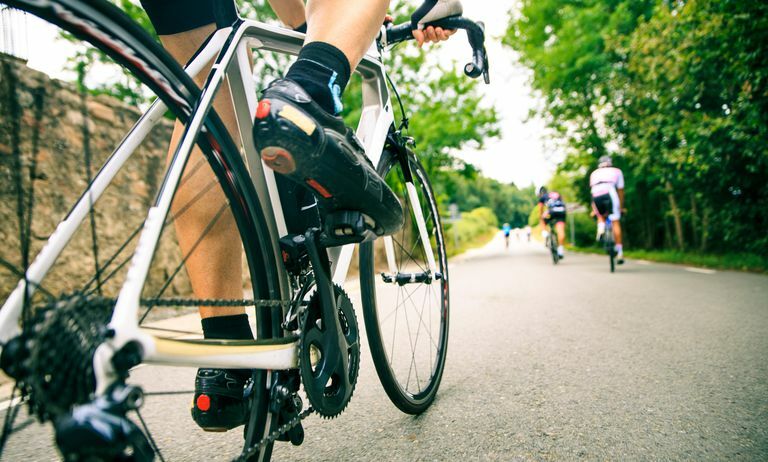 If cycling is a part of your workout routine, you may have a pre-ride routine that includes pumping your tires filling your water bottles and packing a couple of energy bars or having a bite to eat. But it's not a bad idea to get into a habit of doing a quick safety check to make sure your bike is in good condition as well. Bikes, although pretty simple, can be finicky machines to maintain. Minor wear and tear can add up and over time it could cause a mechanical failure. To avoid having a breakdown out in the middle of nowhere (or somewhere you'd rather not be) take a minute to run through a quick pre-ride checklist and make sure you have what you need for a safe and enjoyable ride. These are a few of the items you should consider taking on a long bike ride. Most emergency gear will fit easily in a special bag that attaches under your bicycle seat. These bags are sold at bike shops and come in a variety of sizes and styles. Make sure you know how to repair a flat tire and practice at home before you need to do it on the road. Most bike shops offer classes on basic bike repair. Bike shoes with firm soles make pedaling more efficient. Clothing that wicks moisture will keep you dry and comfortable. Many cyclists use clipless pedals that allow cycling shoes to lock into place. A simple twist of the foot releases the shoe from the pedal. Clipless pedals allow cyclists to pull up as well as push down on the pedals and create a much more efficient pedal stroke and faster speeds. Before each ride, perform a safety check of your bicycle. This only needs to take a minute or two but will help prevent avoidable accidents. Check the tires for proper inflation (marked on the side of the tire). Check the tire treads for excessive wear or other damage, such as embedded glass or other objects. Check the brakes. Spin the wheels to check for rubbing and then apply the brakes to ensure they stop the bike smoothly and evenly. Check the brake pads for excessive wear.